If you’re looking for a 15-inch laptop with a lot of power without spending too much, I really recommend the Acer Aspire 7! It’s a great value mid-range laptop that is really powerful thanks to its high-end CPU & graphic card, while still remaining quite portable & slim. You get a well-made portable laptop with good design, decent keyboard & excellent performance, for a price tag that won’t burn your pockets. Acer did have to cut some corners to keep it affordable, but they still did a good job delivering a great value laptop that will please most users. Continue reading our Acer Aspire 7 review to know if it’s the kind of high-performance laptop you should buy. Acer has revamped its Aspire line, offering excellent performance for the price. The Aspire 7 is not for you if you are looking for an ultrabook that has a slim design and is lightweight, but for casual gaming, video processing and CAD works, the Aspire 7 is a mighty beast. However, to keep the cost low, Acer had to do some cost cutting somewhere, and that is visible in the display quality and the battery life. The Acer Aspire 7 unit we are reviewing here is the 15-inch variant that comes with a Full HD display, an Intel i7 processor and an NVIDIA 1050 graphics processor. At first sight, the Acer Aspire 7 is rather compact and you’d hardly tell it’s such a beast under the hood. And it’s also lighter than its gaming siblings, making it a quite portable machine at a little more than 5 pounds. The outer case of the laptop is mostly made of plastic with a brushed aluminum finishing for the lid and the top of the base. I do like the look but the aluminum on the back of the lid makes it a fingerprint magnet, so keep a cleaning cloth close-by! The Aspire 7 doesn’t look like a beast equipped like a gaming laptop would. It hides it incredible power under a classic, good-looking & solid design. The hinges supporting the laptop lid are quite flexible, offering 180 degrees of leaning angle. That makes it ideal to use while you’re on your bed, keeping the laptop on your thighs. The Acer Aspire 7 comes with the top of the line Intel Core i7 HQ 7700 processor with 8 GB of RAM and an NVIDIA GTX 1050 GPU. The Intel processor is as good as it can get. And the graphic card is one of the more powerful you can get on a laptop nowadays. This configuration ensures that you won’t be left wanting for more power. You can render high-resolution videos and play the latest triple-A titles without any problem or lag issues. Add an ultra-fast 256 GB SSD drive to that and you’ve got one fast & powerful laptop! But such a powerful configuration means the laptop will heat up fast when under load. Acer has done a good job of keeping the internal temperature under control, so no worries there, but the exterior temperature gets quite hot when under heavy load. The fans also get loud under heavy use to cool down that hardware. The 15.6-inch display on the Acer Aspire 7 is an IPS panel with 1080p Full HD resolution (1920 x 1080). The display is good for most users, and you won’t find any issues unless you try to use the laptop in bright sunlight since the brightness on the laptop is on the lower side. The color accuracy too could have been better but nothing deal breaking for most users. However, it’s not an ideal choice if you are a professional graphics designer. 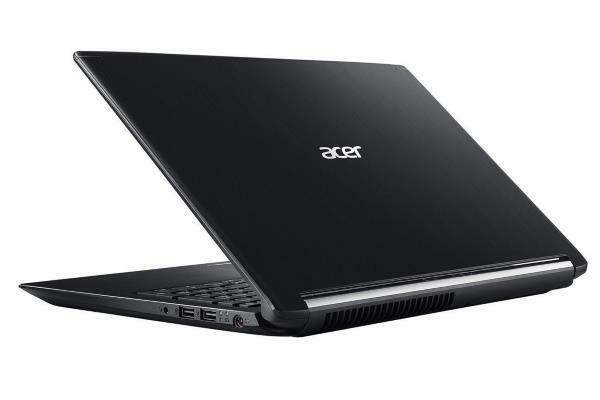 As for the graphics performance, the Acer Aspire 7 comes with a well capable NVIDIA GTX 1050 GPU making it ideal for gaming and video rendering. If gaming is one of your priority, get the GTX 1050 Ti variant for even more power. You can run any latest triple-A titles in medium to high settings with ease. The Acer Aspire 7 gets a 256 GB SSD drive that will make it boot in no time and make sure it doesn’t slow down the rest of the components. And if it’s not enough storage space for you, you also have an additional hard drive slot if needed. Acer says the 4-cell battery should provide power for ‘up to’ 7 hours, but more realistically expect around 4 hours, depending on the usage. 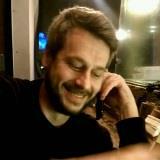 Knowing the components that laptop is equipped with, a short battery life has to be expected. The Acer Aspire 7 comes with two bottom firing speakers. How loud the speakers are depends on the surface you put the laptop on. When put on a hard-wooden surface, they are fairly loud and the audio quality is quite good, though definitively not the best. Overall, the Dolby audio offers a good sound quality for a laptop. 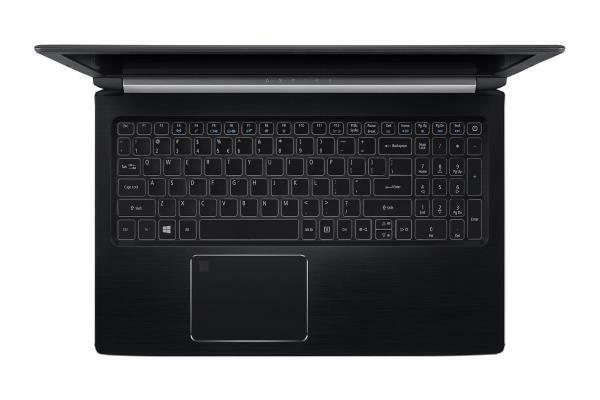 The Acer Aspire 7 is equipped with a decent keyboard, good for day-to-day use. The keys are relatively large at 15 x 15 mm, except for the cramped number pad that may annoy people who use it often. The keys are well finished with nice touch and give good feedback while typing. The key travel is a bit short, but it’s still not an issue once you get used to it. Also, typing in the dark is something you won’t find difficult thanks to the backlighting the Aspire 7 offers. The trackpad is large enough for any size hands and comes with a fingerprint reader making it a bit more secure for the user. The trackpad performs well with precise inputs. It has no major drawbacks except for the occasional misreading of gestures. The Acer Aspire 7 comes with Windows 10 Professional installed out of the box. There are a few bloatware that needs to be taken care of, but apart from that, Windows 10 performs well! 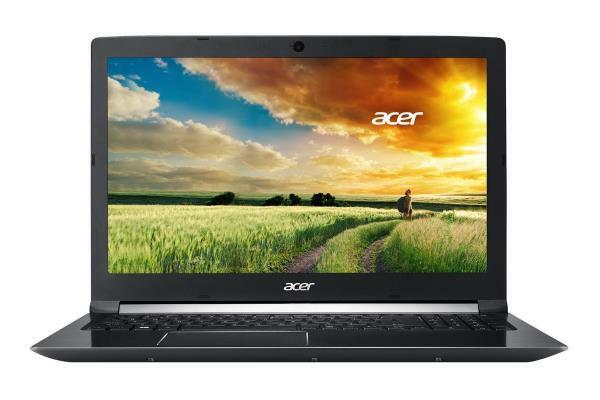 Acer really produced a great value, powerful laptop with the Aspire 7. 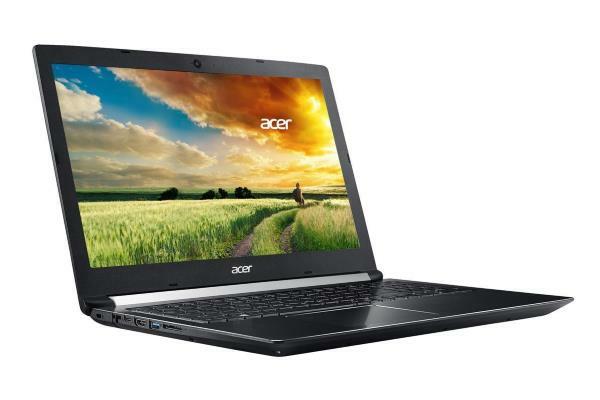 It’s a great choice for anyone that needs a laptop for CAD works, high-end graphic design, programming or for gaming. Also, if you are a college student that needs a powerful laptop, you should definitively consider it.